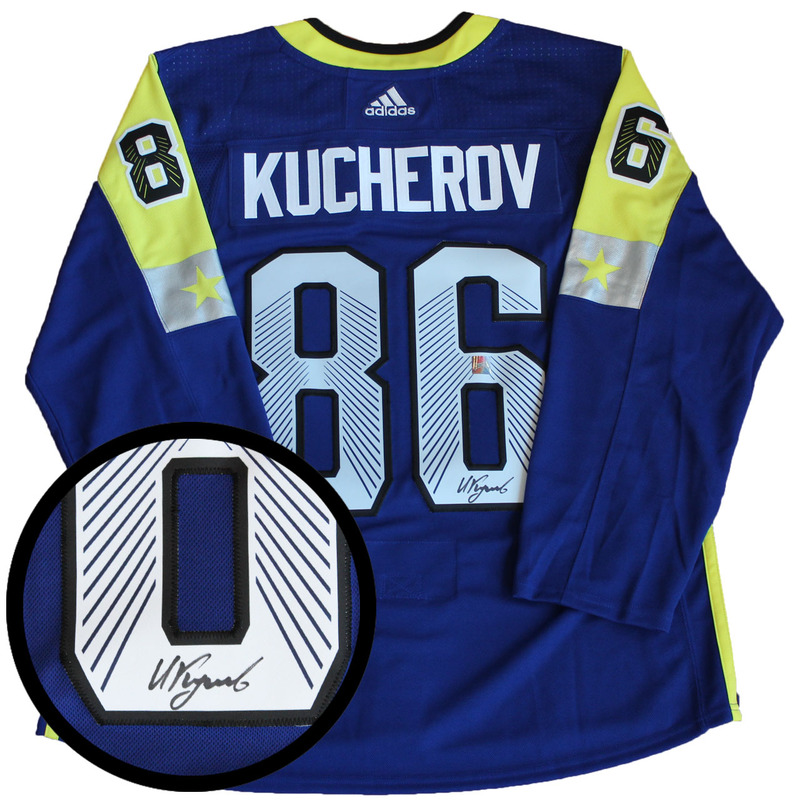 This jersey has been personally signed by Tampa Bay star, Nikita Kucherov. Kucherov has played an incredible past four seasons for Tampa Bay putting up at least 29 goals and 65 points in all four seasons. Kucherov earned his first 100 point season in 2018 with 39 goals and 61 assists to lead Tampa to a playoff berth. Kucherov was named to the second All-Star team in 2017 and played in the NHL All-Star game in 2017 and 2018. In 2018, Kucherov got to shine in front of his home crowd at the 2018 All-Star game. A Frameworth hologram and certificate of authenticity are included to ensure the legitimacy of the signature. Frameworth is an official licensee of the NHL & NHLPA. We do not guarantee any specific jersey sizes but we typically carry sizes L, XL or 52, 54 & 56 for Pro jerseys. These sizes are considered the most ideal for framing & displaying.